Professor David Robie, director of the Auckland University of Technology’s Pacific Media Centre, and seven academics from Indonesia’s Universitas Gadjah Mada will be on exchange next month in the first communication and publication research collaboration of its kind in New Zealand. 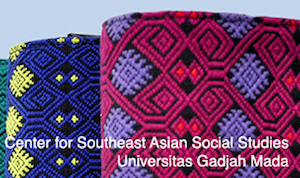 The seven academics from Yogyakarta, led by Gadjah Mada University’s Centre for Southeast Asian Social Studies (CESASS) director Dr Hermin Indah Wahyuni, arrive in Auckland in October for a two-week visit featuring workshops, seminars and joint research projects. IKAT research journal produced by CESASS. They will also be collaborating with their newly published research journal IKAT, the PMC’s 23-year-old Pacific Journalism Review and AUT Library’s new Tuwhera open access research and journal publication platform. A major project involving the environment, ecological communication and Asia-Pacific maritime disasters is planned. 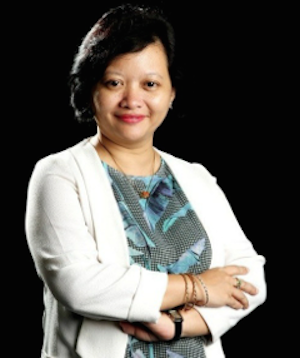 Dr Robie is one of six academics invited by CESASS as part of the Indonesian government’s World Class Professor (WCP) programme to strengthen international publication and research studies. The others are: Professor Thomas Hanitzsch, chair and professor of Communication Studies at the Ludwig-Maximilians-Universitat Munchen, Germany; Professor Judith Schlehe, professor of Social and Cultural Anthropology at University of Freiburg, Germany; Dr Magaly Koch from the Centre for Remote Sensing at Boston University; Professor Hermann M. Fritz from Georgia Institute of Technology; and Dr David Menier, associate professor HDR at Université de Bretagne-Sud, France. 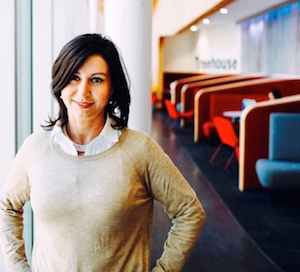 AUT’s Head of the School of Communication Studies, Professor Berrin Yanikkaya, said: “David has for many years run a vibrant and dynamic research centre out of the School of Communication Studies. The Pacific Media Centre has become a focus for research and political commentary and thanks to David’s energy and commitment has attracted many overseas scholars whose research has further enriched the unique perspective that the centre offers on Asia-Pacific affairs. “One of David’s most notable contributions has been to become the voice of the voiceless, and to carry their stories to the world. Both the print and the digital publications that the PMC produces are remarkable for their interest and accurate, compassionate reporting. Dr Hermin of CESASS said: “We are honored to be given a chance to visit and cooperate with AUT’s Pacific Media Centre, especially through our colleague, Professor David Robie. He is a specialist in environment journalism, a topic that runs parallel with our main theme of Ecological Communication. The WCP programme, launched this year, was initiated by the Directorate General of Science and Technology Resource and Education, Ministry of Research, Technology and Higher Education of the Republic of Indonesia. The programme involves inviting professors from various top universities, both from Indonesia and abroad, as visiting professors to be placed in different universities in Indonesia for a maximum of six months. Dr Robie will visit Gadjah Mada University for two weeks later in October. CESASS has collaborated with two other universities in Indonesia – the Centre for Coastal Rehabilitation and Disaster Mitigation Studies (CoREM) from Universitas Diponegoro, and the Tsunami and Disaster Mitigation Research Center (TDMRC) from Universitas Syiah Kuala. The consortium proposed the programme under the theme “Ecological Communication in Maritime Disaster”.